A move from Suzuki to Padgetts-run Honda machinery at the 2011 Isle of Man TT saw veteran Kiwi racer Bruce Anstey rejuvenated and back in TT-winning form. The laid-back New Zealander is such a popular character, his success at the TT is enjoyed as much by fellow racers as it is by fans. 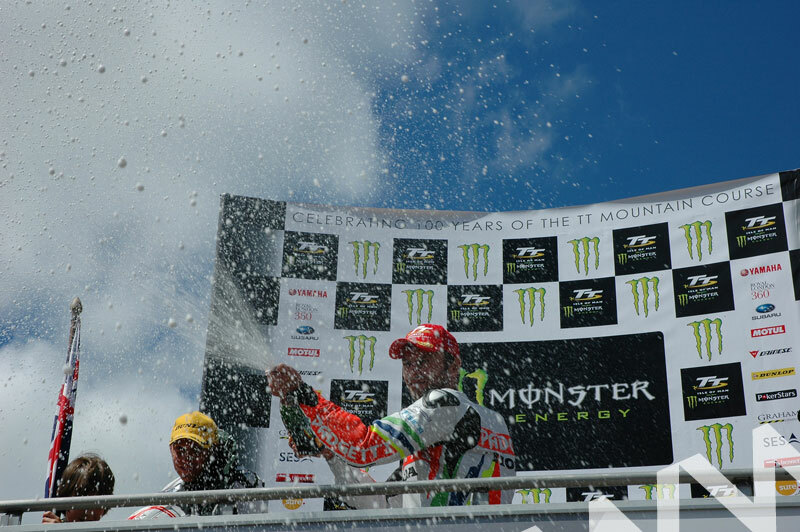 This picture shares the moment of celebration as Anstey sprays his victory champagne into the air from the TT podium after claiming top spot in the Monster Energy Supersport TT.